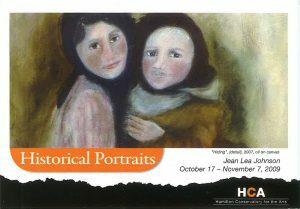 Jean Lea Johnson is an artist who gleans much strength and serenity from her work as a painter of portraits and historical portraiture. As an artist who has painted for over the past 25 years, Jean Lea has exhibited in Scotland, England, Canada, and the United States. Her work is included in private collections in Barrain, Britain, Australia, and the United States.